An indispensible tool for any studio. 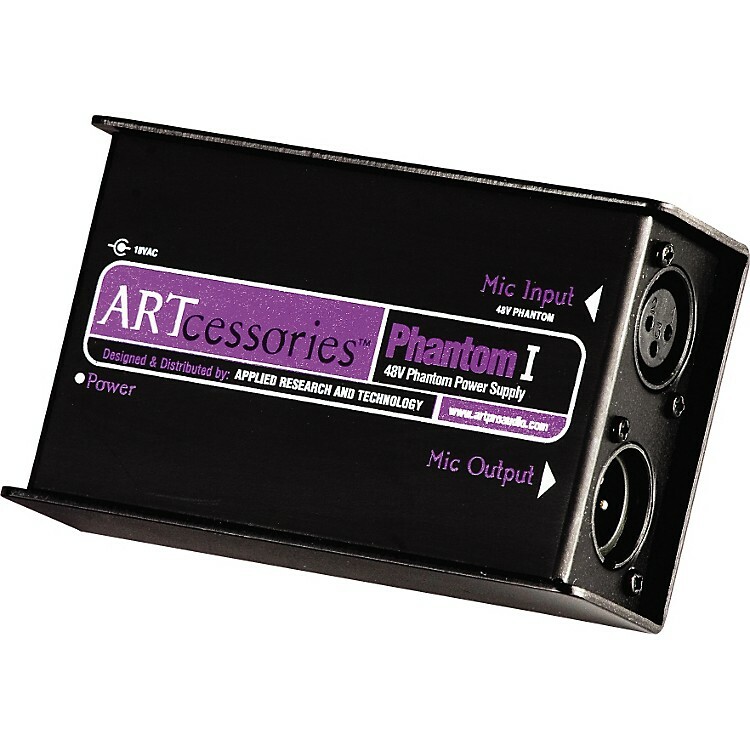 The ART Phantom I is a 48V Phantom power supply for studio microphones. The Phantom I has a wide frequency response and features a female XLR input and a male XLR output. 18V DC power adaptor included. Different condenser microphones specify different amounts of required phantom power. As a rule these ratings can range from 48 volts all the way down to 9 volts. Fortunately, there is some flexibility in terms of matching phantom voltage to your mic. A rough rule of thumb would be "more is better." For example, a 24-volt condenser mic will run perfectly on 48 volts. In fact, mics rated at as little as 9 volts can often operate on 48 volts, but you should check with the manufacturer first. Conversely, a mic will generally perform best driven by not less than its rated voltage so, for a 48V mic, you would obtain best results with 48 volts of phantom power. The Phantom I is a great choice for the above needs. Get this studio solution today!